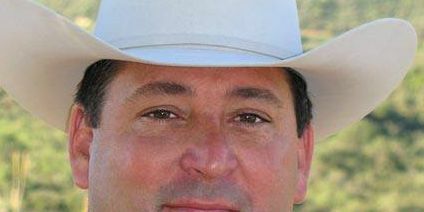 PHOENIX (AP) — Arizona state Rep. David Cook has issued a public apology for his arrest on suspicion of extreme DUI. State Department of Public Safety officials said a trooper stopped Cook as he was driving on the Loop 202 freeway in Mesa on Wednesday night. They say the trooper smelled alcohol and conducted a field sobriety test on the Republican lawmaker from Globe. DPS paperwork shows Cook's blood-alcohol content was measured between 0.15 and 0.19 percent. That's far above Arizona's legal blood-alcohol limit of 0.08 percent for drivers. On his Facebook page Thursday night, Cook says he "learned a valuable lesson the hard way" and he tried to drive home after having some drinks with friends without eating any lunch or dinner. Cook says it's a humbling experience to be arrested, but he's lucky to have not gotten into an accident and hurt somebody. He says he has let everyone down — friends and family alike — and is sorry for what he did. He has been a member of the state House since 2017 representing Arizona’s 8th Legislative District which includes portions of Pinal and Gila counties, and was re-elected last month.